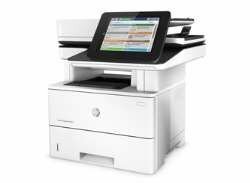 Fast print, scan, copy, and fax performance plus robust, comprehensive security built for how you work. 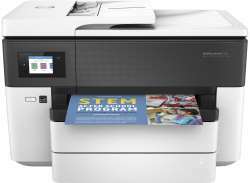 This MFP finishes key tasks faster and guards against threats, comes with innovative anti-fraud technology it one of the most secure printers on the market. 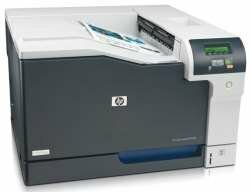 Ideal for printing 750 to 4000 per month, and supports upto 10 users. 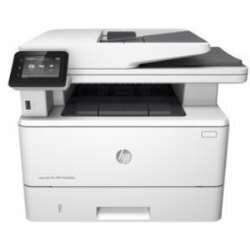 Brand Name: HP Copier Type: Flatbed Copy Color: Monochrome Duplex Printing: Automatic Duty Cycle: 80000 pages per month Ethernet Technology: Gigabit Ethernet Fax Color: Monochrome Form Factor: Desktop Green Compliant: Yes Maximum Mono Print Speed (ppm): 38 Maximum Print Resolution: 1200 x 1200 dpi Media Size: 16K Media Size: A4 Media Size: A5 Media Size: A5R Media Size: A6 Media Size: B5 (JIS) Media Size: B5 Envelope Media Size: B6 (JIS) Media Size: C5 Envelope Media Size: Custom Size Media Size: DL Envelope Media Size: Envelope No. 10 Media Size: Executive Media Size: Japanese Postcard Media Size: Japanese Postcard Double Media Size: Legal Media Size: Letter Media Size: Monarch Envelope Media Size: Oficio Media Size: Statement Media Type: Bond Paper Media Type: Colour Paper Media Type: Envelope Media Type: Heavy Paper Media Type: Label Media Type: Letterhead Media Type: Light Paper Media Type: Plain Paper Media Type: Pre-punched Paper Media Type: Preprinted Paper Media Type: Recycled Paper Media Type: Rough Paper.